Posted October 19, 2009 in Aaron Jasinski, Doctor Doom. 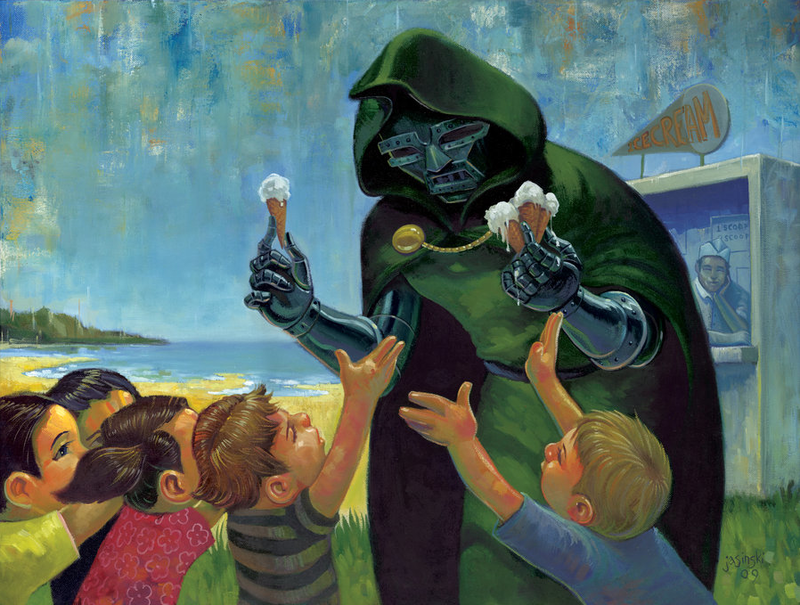 The lighter side of Dr. Doom courtesy of Seattle based artist/designer/music producer Aaron Jasinski. Aaron produced this piece for Subtext’s Meanwhile at the hall of Justice show earlier this year and his recent exhibition, Tractus Secretum, for Distinction Gallery can be found here. Want more? Aaron also has a blog and a deviantart page for your viewing pleasure.